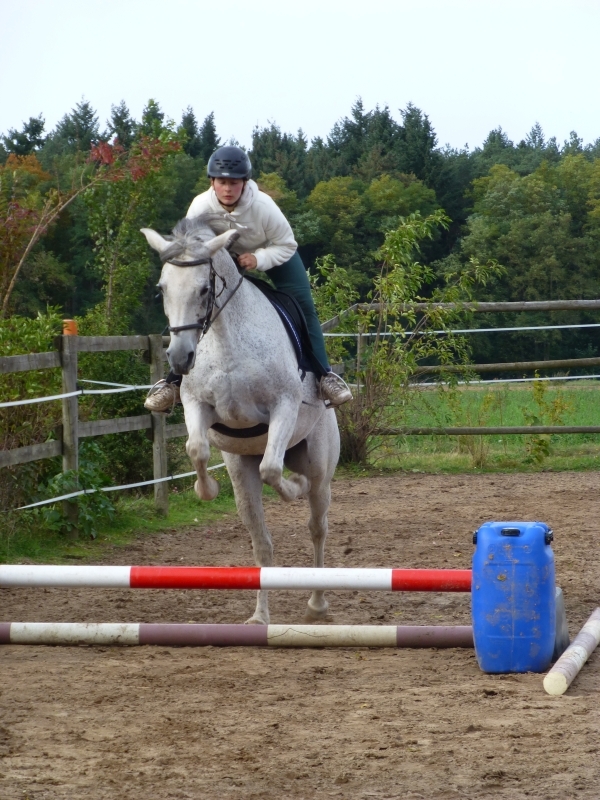 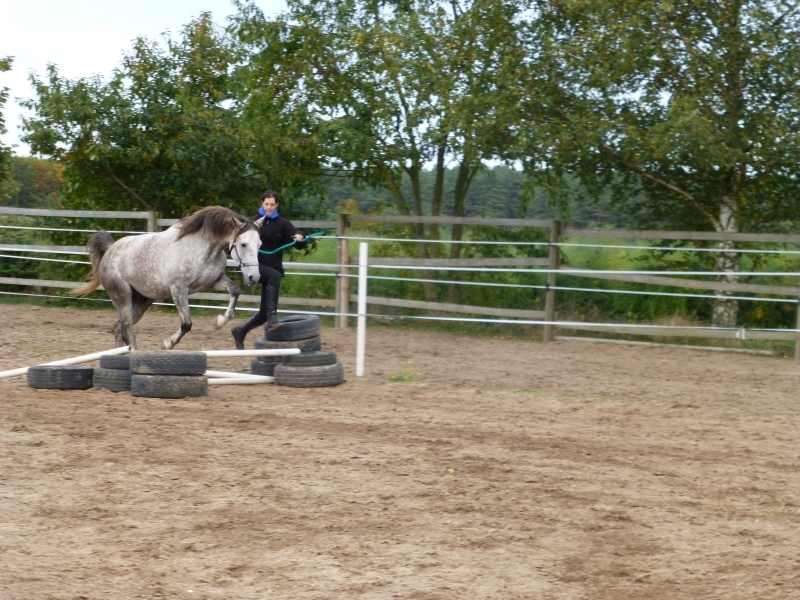 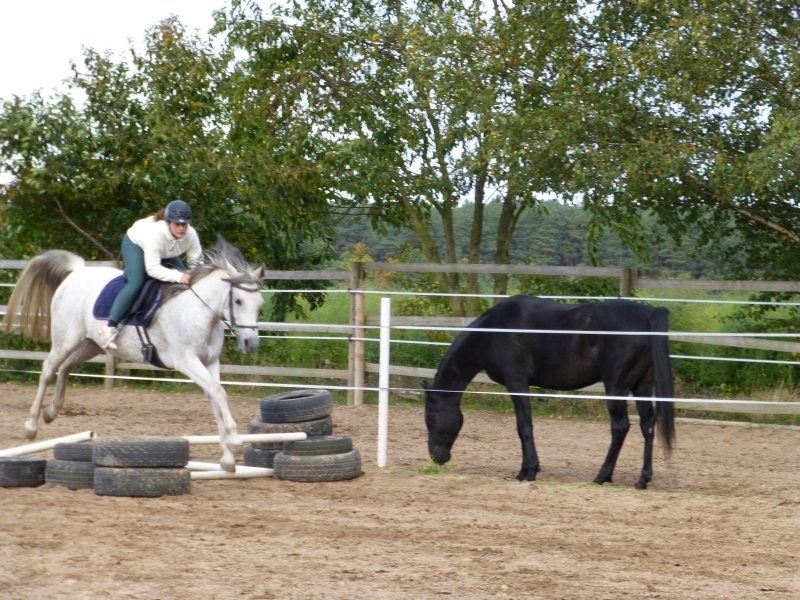 Our jumping was arranged like a puissance jumping. 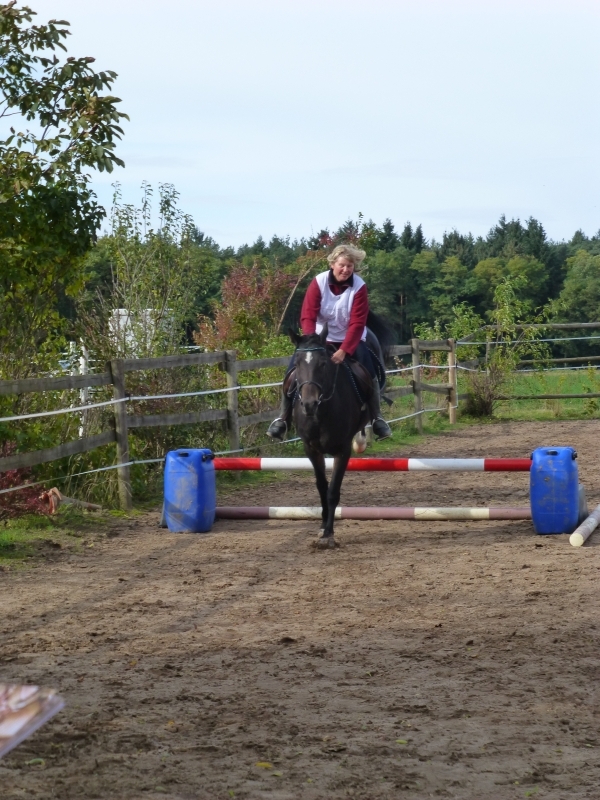 The four handicaps of the course were risen after each revolution, who collected point deductions during a jump dropped out. 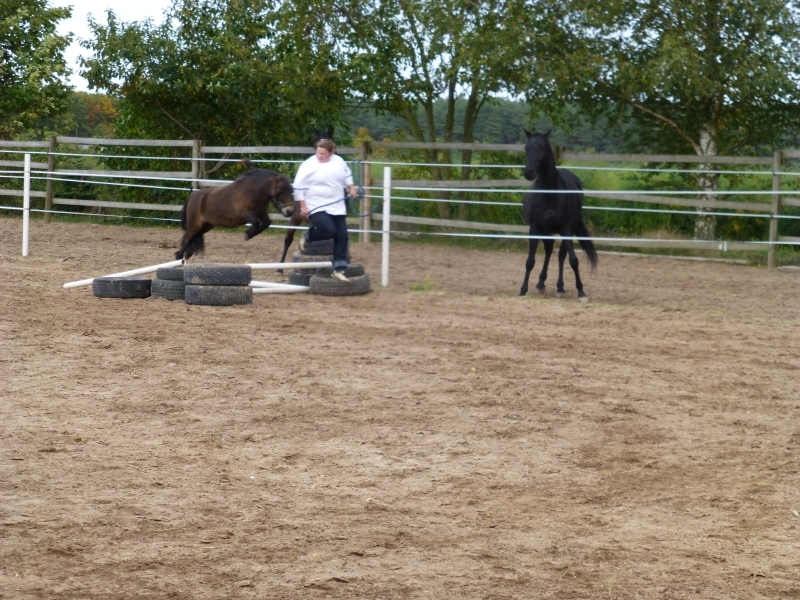 Here some pictures from the first revolution.